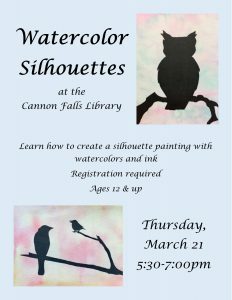 Learn to create a silhouette painting with watercolors and ink. No drawing skills required. For ages 12 & up. Registrations is required.